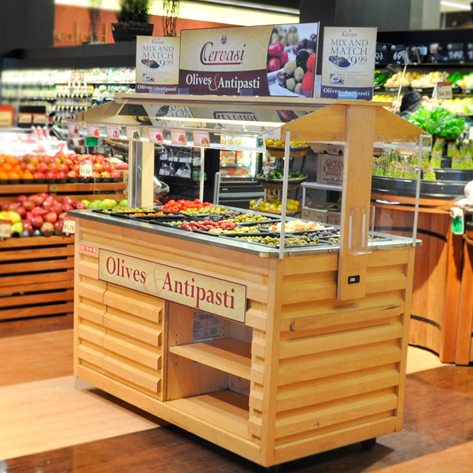 Below is a range of products you will find in local groceries on the Cervasi Olive & Antipasti bar. The items available will vary by location and availability. If you would like to learn more about putting together a great antipasti dish at home, check out the Cervasi Cucina blog. Our Locations page features a Kansas City-area map of grocery stores carrying Cervasi products. For foodservice product information, visit parisbrothersspecialtyfoods.com.